Vintage Hollywood glamour blends seamlessly with modern appointments, turning the Movie Colony Hotel into a fashionable oasis in the Sonoran Desert. 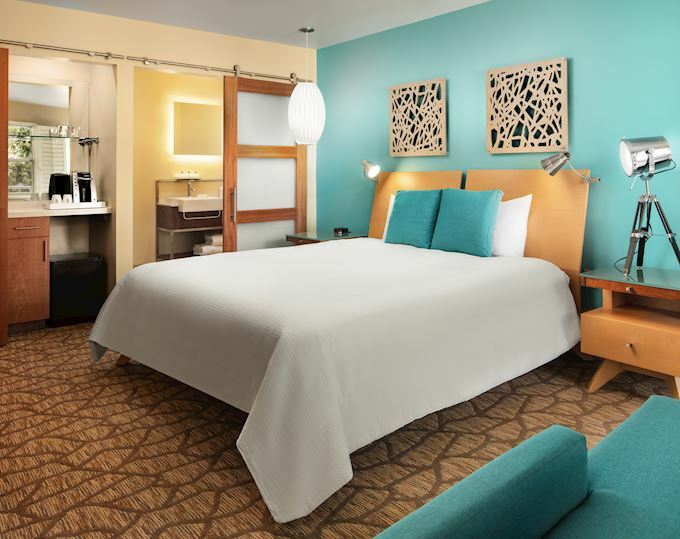 Each of the hotel's 16 intimate and boutique accommodations evokes a style and character of its own. 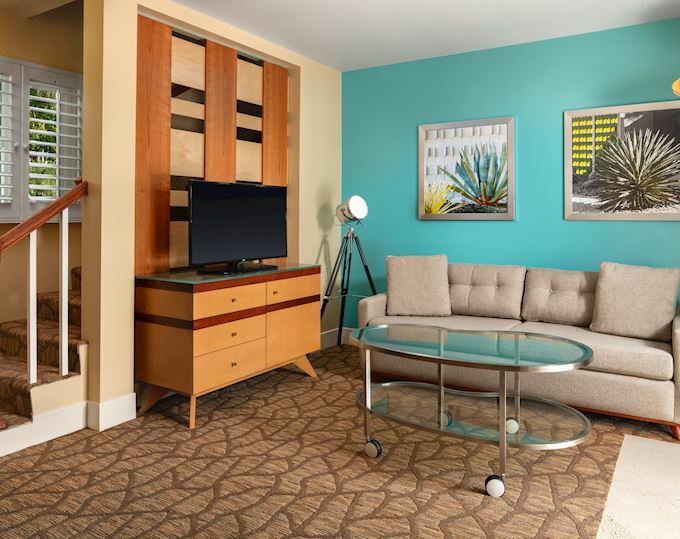 Most rooms allow you to step out onto your own sun-drenched private terrace to soak in the Southern California sun and views of the San Jacinto Mountains. 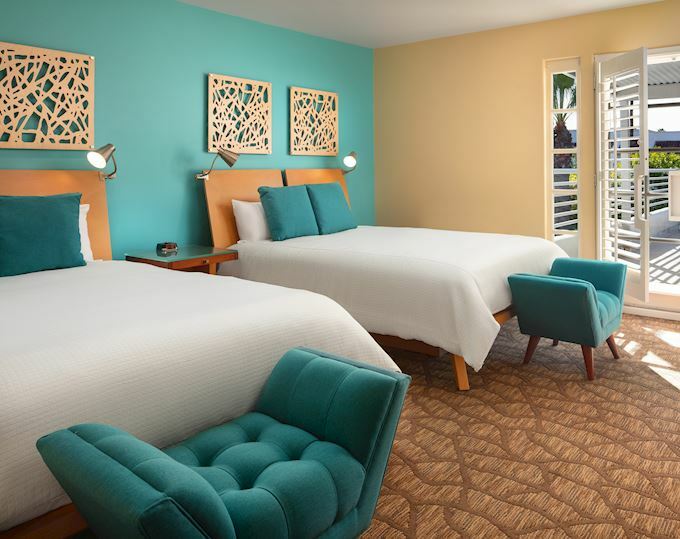 Stay in a newly-renovated Standard Room or Deluxe Room with its own private patio for a sleek and sophisticated 1930's modernist architecture aesthetic, including refrigerators, Keurig® coffee makers and elegant plantation shutters. Elevate your getaway in a residential-style suite accommodation featuring, inviting furnishings across two floors and direct pool access. 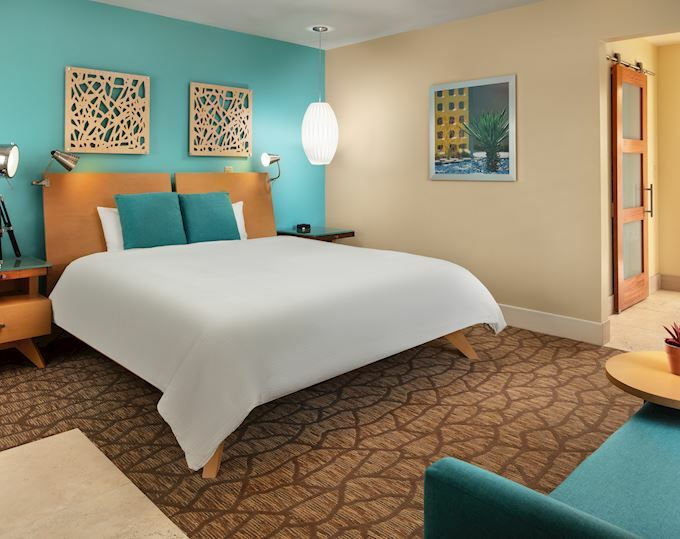 Experience the elegance and style of Palm Springs at the Movie Colony Hotel. Stay steps from the courtyard and pool in this classically appointed room featuring minimalist decor and a pillowtop king bed, plus a refrigerator and cozy sitting area. Step out onto your private patio to revel in the sun and garden views, sleep comfortably on a plush king bed, and enjoy sleek modernist decor along with signature amenities. Live large in these spacious suites featuring stylish modernist furnishings, a separate living area with sofa sleeper and private patio. Admire stunning views of the San Jacinto Mountains from the private terraces of these bi-level rooms which feature two queen-size beds, a sofa sleeper and a separate living area.